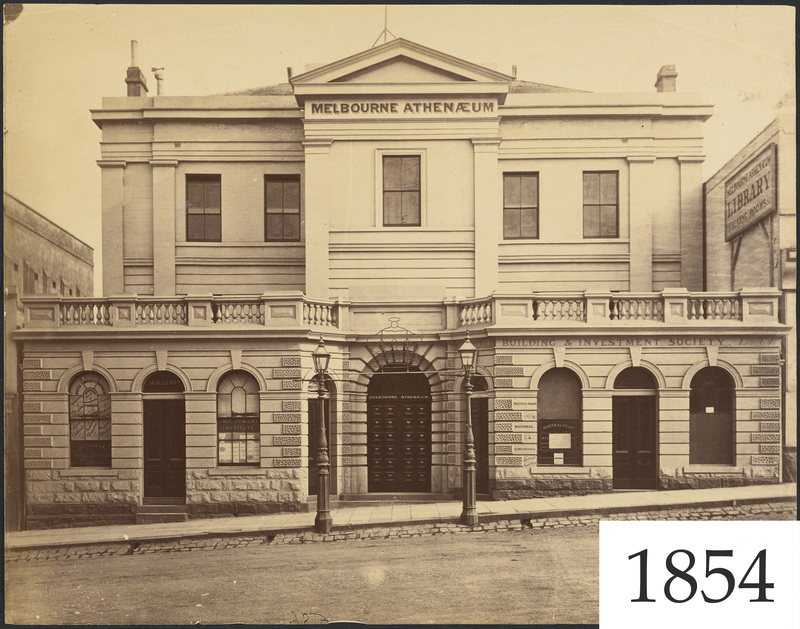 The most unique building in Collins Street is that of the Melbourne Athenaeum. It was originally named the Mechanics' Institution when formed in 1839. Members of the not-for-profit organisation, by sheer determination and against all odds, purchased land and paid for a building in the centre of the new town. 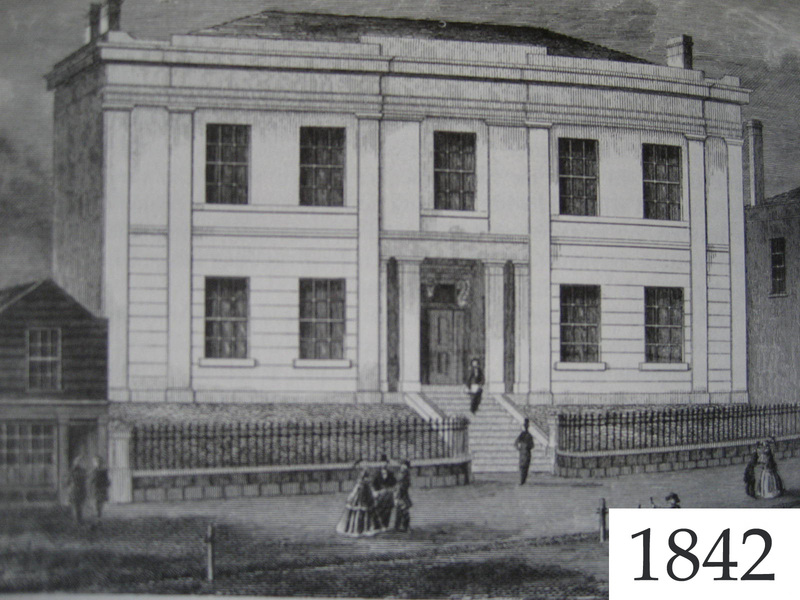 Starting as a modest, two-storey structure, the Mechanics' Institution's first building was completed in 1842. 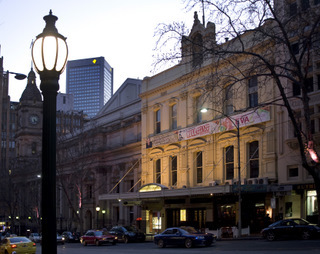 As Melbourne gradually became a more complex city, the organisation and its building evolved to accommodate the changing needs and sophisticated pastimes of the people of the city. 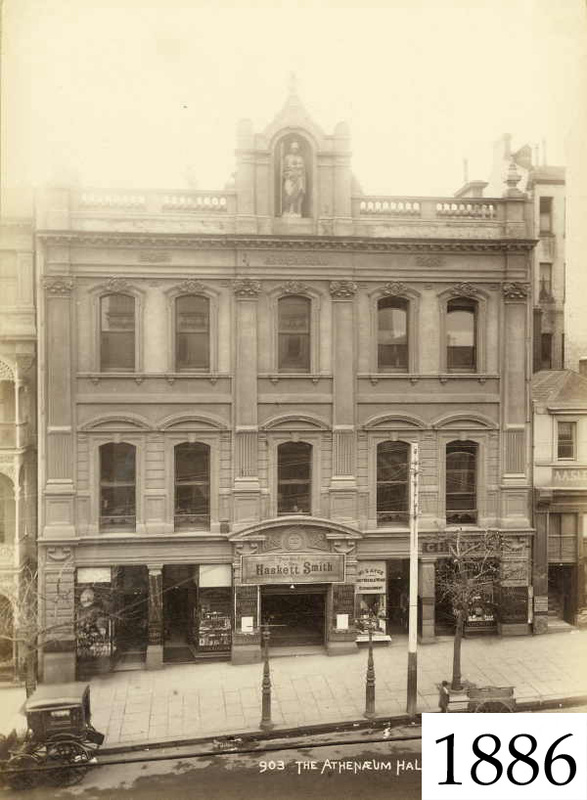 The building, gradually enlarged over the years, became the elegant and familiar edifice situated next to the Town Hall, in Collins Street. The stories of the land purchase and the issues concerning the completion of the building reflect the history of the new, developing town.